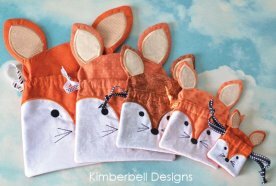 with cosmetics as a gift for a foxy lady, this Clever Fox is fabulous fun to make. 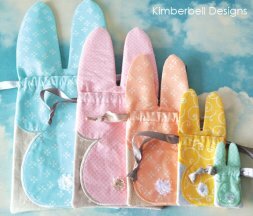 No materials or thread is needed. 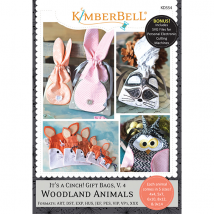 There is a kit for the material and we will use thread of your choosing in the classroom. 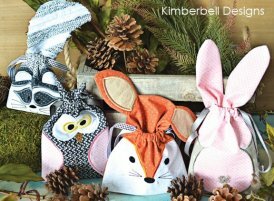 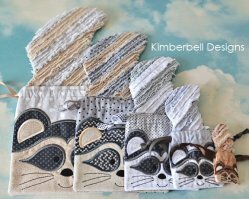 You will stitch one woodland animal bag in class, however, you will receive the entire collection on a cd for your use as part of the class. 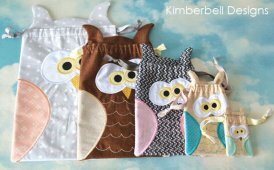 Kits are made for the small fox or medium owl.